Kellie Casey joined the law school as director of advocacy in the fall of 2000. She teaches appellate advocacy and serves as director of the law school's award-winning moot court and mock trial programs. In only her first year of leadership, the advocacy programs reached new heights: moot court teams captured the regional championships and numerous individual honors at every tiered tournament they entered, including the prestigious National Moot Court Competition, the Philip C. Jessup International Law Moot Court Competition and the ABA National Appellate Advocacy Competition; mock trial teams reached the top six of the Association of Trial Lawyers of America (ATLA) national competition and the finals of the Georgetown White Collar Crime Competition. Under her guidance, Georgia Law's advocacy students have continued to amass national titles and individual awards, and they routinely capture the top trophies at the regional and state levels. Previously, Casey practiced as a trial lawyer for more than eight years, first with the Atlanta law firm Freeman & Hawkins and then in private practice with Casey & Rowsey, P.C., also in Atlanta. She served two years as director of attorney recruiting for Special Counsel, helping many lawyers find regional and national employment. 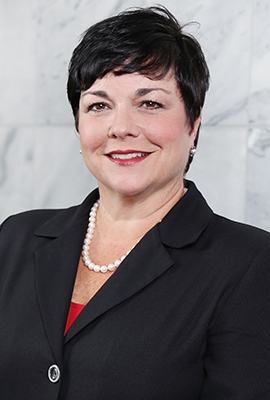 Casey earned her law degree from UGA in 1990 and is an accomplished veteran of the law school's moot court program, winning several individual oralist honors and competing as a member of the prestigious National Moot Court Team. She also received her bachelor's degree in criminal justice from UGA.